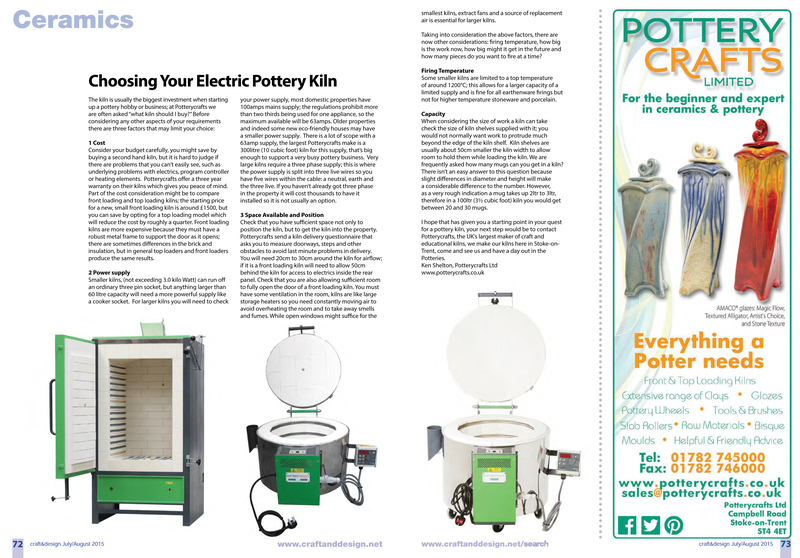 If you are looking to purchase an electric kiln and could really do with some tips and expert guidance, then please take a look at our 'Choosing an Electric Pottery Kiln' guide, featured in the July/August issue of Craft&Design Magazine. Click on the image to read the article. Our pottery expert Ken Shelton has put this together to give you some advice on what to consider when making a decision on which kiln to purchase. Any further assistance we can provide, please do not hesitate to contact us. We are only a phone call away from starting your potters journey! Our Big Kiln is Big News! 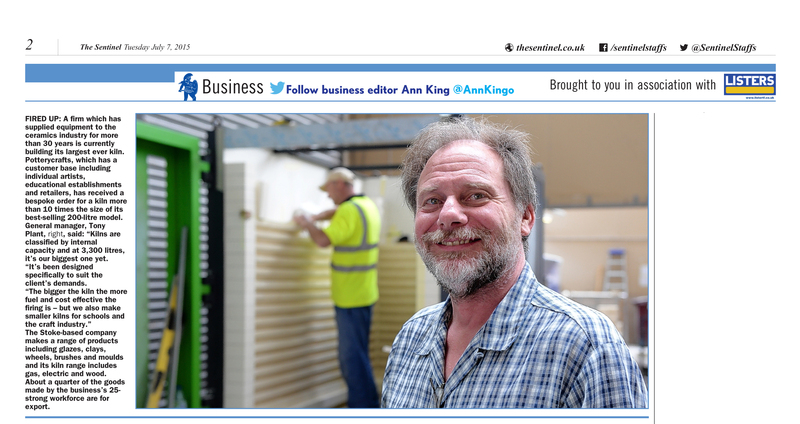 We were featured in The Sentinel newspaper last month, as we are currently in the process of building our biggest kiln to date! A massive 3,300 litres capacity has certainly caught the attention of our local media. We thoroughly enjoy taking on projects like this and are proud to be able to meet our customer requirements. Do you have any special projects we can assist with? Just call for a chat or email any enquiries, we are always happy to help. Yesterday, on Wednesday 1st October, Potterycrafts were featured in the local Staffordshire newspaper, The Sentinel. We wanted to share our global demand for the best kilns in the country, manufactured in our warehouse in Stoke-on-Trent. Recently, we have built a huge 1060 litre kiln for a business based in France. From our small kilns for the indivual hobby ceramist to our larger kilns for businesses, we build all sorts to meet the demands of every customer. Not only that, we can build kilns to any customers specifications. Click on the image above to go to a PDF version of the article. Potterycrafts were proud to present the Potterycrafts Lifetime Achievement Award at the recent International Festival of Ceramics in Aberystwyth www.internationalceramicsfestival.org. The Festival started in 1987 and has evolved to become one of the most important ceramic events worldwide. It offers teachers, students, ceramic artists, collectors, working potters and amateurs the chance to meet and study the work of distinguished, internationally known potters and ceramicists from Wales, the UK and around the world. The Festival attracts about 1000 people who attend lectures, watch practical demonstrations and visit special exhibitions over three days. International potters of the highest calibre demonstrate skills and techniques and also have their own workspaces - enabling personal discussion about their work. The focus is both practical and inspirational - kilns are built, pots are made and fired. The biennial festival is organised jointly by North Wales Potters, South Wales Potters and the Aberystwyth Arts Centre. The winner of Potterycrafts Lifetime Achievement Award this year was Walter Keeler, seen here at the award ceremony with Ken Shelton from Potterycrafts who presented the prize, Jim Robison, MC of the show and Wally on the right. Ken first met Wally when he gave a seminar to Potterycrafts customers thirty years ago, he praised Wally's skill as a potter, teacher and innovator, he particularly mentioned Wally's wonderfully precise assembled pieces and his magical control of salt glazing techniques. Wally has been an inspiration to a generation of potters and richly deserves the award. The award was a sculptural ceramic piece specially commissioned by the Festival from renowned American ceramic artist Richard T. Notkin. The International Ceramics Festival is a biennial event started in 1987, it is the UK's leading ceramic festival and offers demonstrations and lectures by some of the world's leading ceramists. This is a wonderful opportunity to meet distinguished practitioners and this year the festival hosts potters from Korea,China, Spain, Poland, New Zealand and the UK. The event will be opened by Henry Sandon, world authority on ceramics and hugely popular TV presenter. Potterycrafts will have a trade stand at the show where you will be able to view a selection of our front and top loading electric and gas fired kilns as well as some of the finest potters wheels and equipment. Potterycrafts are proud to support the festival and in particular to sponsor of the Potterycrafts Lifetime Award. The 19th annual Art in Clay takes place in the beautiful grounds of Hatfield House, each year more than one hundred and fifty of the country's best potters, and also many from overseas, will be gathering to sell their ceramics. No other ceramics show offers such a large selection from some of the best know names in the business alongside exciting new work from students supported by their colleges. 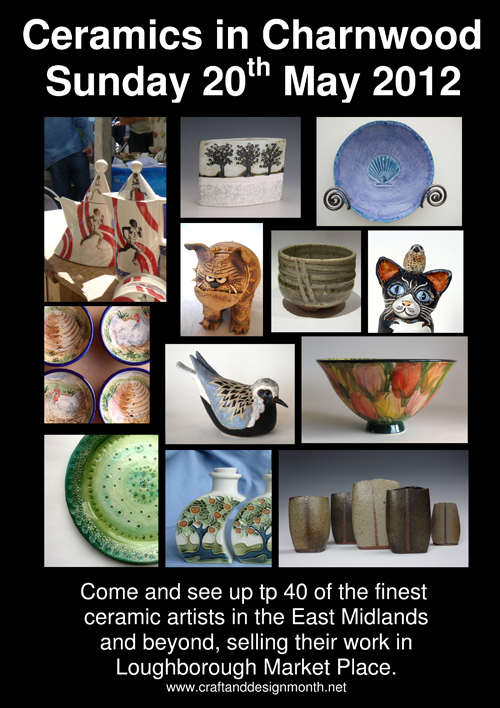 Potterycrafts will have a large stand at the show with examples of our front and top loading kilns, wheels from Brent Roderveld and Cowley. Our technical experts will be on hand to offer advice; Valerie Shelton will be demonstrating the art of underglaze painting and Kevin Millward possibly the country's finest thrower will be demonstrating his art. Potterycrafts are proud to have spondored the 2013 Art Competition on Saturday 6th April at the Bahrain Art Society. The competition was divided into 2 classes of entries: Junior (Open 12 to 16 yrs. )and Adults (17 yrs. and above). A total of 28 entries was received and the winners received vouchers for Potterycrafts products. To all the winners and to those who participated, Congratulations and well done..
Manading Director Andrew Carter appears in this video for the Crafts Council's Firing-Up project. Potterycrafts offer over eighty different clays but even with this choice we have identified gaps in the market and have just announced the introduction of four new clays as follows. Make your own pizza and tandoori oven! Potterycrafts new "Oven and Sculpture clay" P1506 has been designed for just this purpose. It has a coarse texture with very low shrinkage so won't warp and it has good thermal shock resistance. Now's the time to start planning your oven, get it built in time for the summer. "St Ives clay" answers the need for a smooth white stoneware throwing clay that is suitable for both small and large work. Based on three white ball clays it has great plasticity and fires to a beautiful warm white. St Ive is not the patron saint of pottery but given the association with the eponymous Cornish centre of pottery perhaps he should be! Once upon a time production throwers were the heart and soul of the pottery industry, craftsmen so skilled that they were capable of making a thousand pots a day. Potterycrafts new "Production Throwers clay" celebrates these masters with a clay that has a huge firing range from earthenware to stoneware but most of all is a forgiving and easy throwing clay, good for professionals and absolutely ideal for beginners. The whiter the clay the more difficult it is to throw on the potter's wheel, this has always been a dilemma in the craft pottery world but now with the "Superior White Earthenware" the circle has been squared. Made with white ball clays this is a very plastic, easy throwing clay and it also has great green strength so is easy to turn. Turning is the process of trimming away surplus clay, refining the shape and enabling fine light pots to be made like the example illustrated. 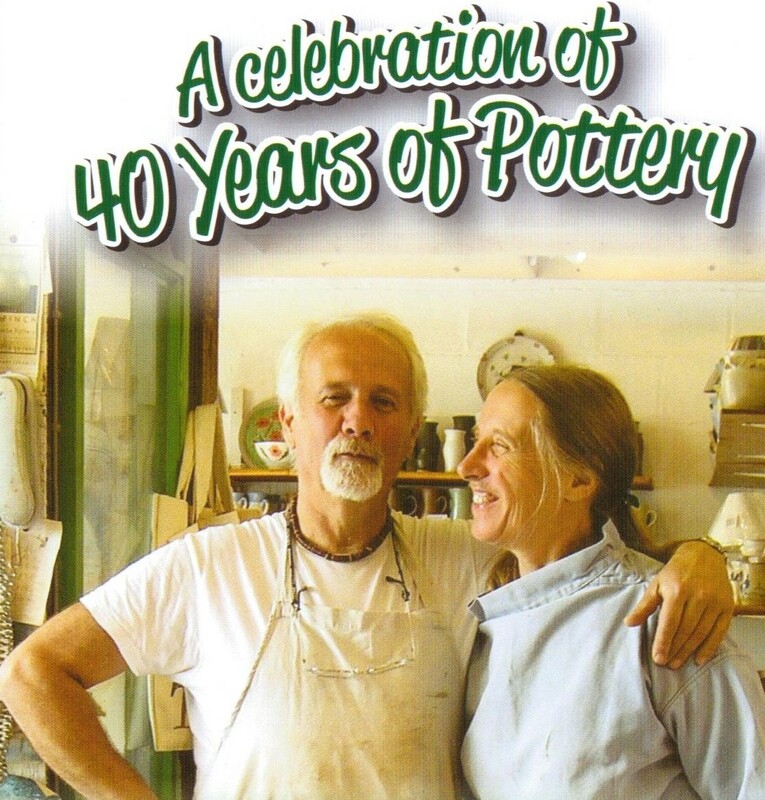 Potterycrafts are sponsoring the 2013 Lifetime Achievement Award at the International Ceramics Festival. Click here for more info. After a review of clay, we have revised the entire of the Earthstone and Professional Clay ranges down to amazingly low prices. Please check out the new pricing on the website where you can order everything a potter needs. Potterycrafts will be holding a sale in store on Saturday 6th October between 9AM and 1PM. A selection of reduced price refurbished kilns and equipment will be available to view and buy in the showroom along with a special selection of discounted products. We are also offerring 15% discount on all orders taken in-store on Saturday. Potterycrafts are proud to have sponsored the Art in Action festival with several potter's wheels. Art in Action is inspired by the simple principle that people are fascinated when artists and craftsmen openly demonstrate their skills and discuss their work. Approximately 25,000 visitors come over four days to learn, buy and enjoy, exhibitions, classes and performances of 400 demonstrating artists, teachers, musicians and performers. This year's event was a great success despite the disruption with the usual parking areas becoming waterlogged and alternative arrangements having to be made! We are pleased to announce that there are three kilns in the new Potterycrafts Laser gas kiln range, each will be available in both propane and natural gas. A pottery weekend will take place at the Manor house gardens as part of the Alford Craft Market. 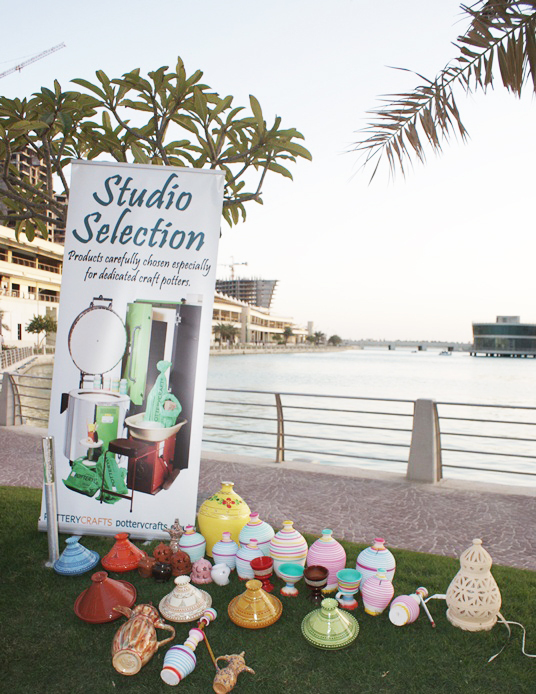 The panel will include Ken Shleton, potter and technical adviser from Potterycrafts Ltd.
Potterycrafts sponsored a pottery themed Art Exhibition in Amwaj Lagoon, Bahrain organised by Things To Do. 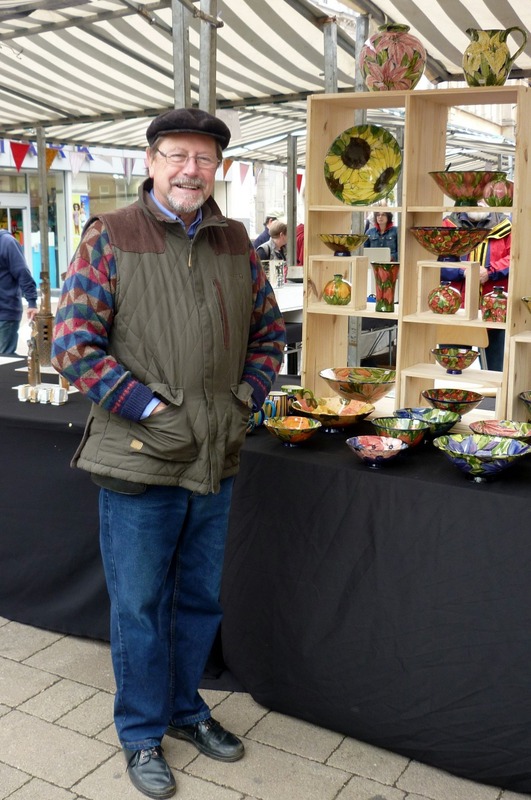 'Ceramics in Charnwood' is an open air potters market to be held on Sunday 20th May 2012 in the Market Place, Loughborough from 9.30am to 4.30pm. The event is being held as part National Craft and Design Month which aims to raise the profile of crafts in different communities throughout Britain. Our Market is a gathering of up to 40 potters and ceramic artists from the Charnwood area of Leicestershire together with invited colleagues from the surrounding counties and beyond. We first held the market last year and it was a big success with much interest not only from the local community, but also from ceramics enthusiasts further afield. 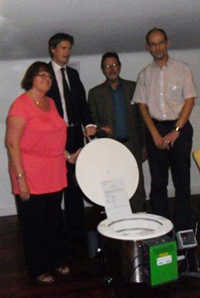 The show was officially opened by the Mayor of Charnwood, Jill Vincent, who even took the time to throw a pot on the wheel! This years Market promises to be bigger and better with a wide variety of work for sale from decorated domestic ware to beautiful animal sculptures. We also have childrens hands on workshops. All we need now are crowds of shoppers and a sunny day! Once again Potterycrafts had a successful show exhibiting at Craft Hobby & Stitch International. The NEC Birmingham, was the perfect place to introduce the craft trade to the newly launched Bramwell Crafts business since its takeover by Potterycarfts Ltd.
Bramwell Crafts featured its own products along with the strong brands which it it distributes in the UK, including AMACO, The Paper Company, Bo Bunny Thermoweb and Jones tones and Kaisercraft. All of these innovative brands created a huge draw for the trend hungry trade and record order levels were achieved during the 3 day show. Alison Park Group Craft Sales Manager Bramwell/Potterycrafts said it was a record year in terms of order taking at the showand interest in new innovation not soley linked to the paper crafting sector. Potterycrafts are pleased to announce that we have completed purchase of the assets, goodwill and designs from Laser Kilns Ltd. We will be working with Laser's design team to produce the next generation of gas fired ceramic kilns and electric kilns for glass slumping and fusing. These will be made at our factory in Stoke-on-Trent and we will have the first models of the new ranges ready for the launch in March 2012. We will not be making the present Laser range but we aim to supply spares for previous models; parts and equipment are in the process of being moved from London and we hope to be able to start supplying spare parts by the middle of February. If you have any request for parts or technical queries please call or email and we will do our best to respond as quickly as we can. For over thirty years Laser has been the leading British manufacturer of gas kilns for potters in craft and education; they enabled potters both professional and amateur to enjoy the benefits of reduction firings as well as the speed and satisfaction of working with gas. Laser pioneered many innovations in glass kiln technology and has been the company of choice for glass slumping and fusing not just in the UK but throughout Europe. We are very pleased and proud to be a part of the continuing Laser story and look forward to working with these new markets in the future. 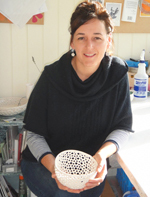 Jo Rowley was this years prize winner at the London Potters annual open exhibition. Potterycrafts are proud to sponsor the competition, and now display Jo's work in the potter's gallery here. 1. Raise awareness of the importance of clay in our everyday lives and in world cultures. 2. Support schools in using this medium creatively and confidently, and in optimising its educational value for students and creating sustainable local links. 3. Showcase and exhibit the work of young people. 4. Demonstrate the links between clay-work and the wider creative industry sector showing that working in ceramics is a viable career choice. The Firing Up programme is constructed around the ceramics department of a partner Higher Educational Institute, who will provide support for up to five local schools. Phase I saw the launch of clusters in Merseyside, London and the South West. In the case of the West Midlands and Staffordshire, the University of Staffordshire is the local partner. The programme was launched at a reception in Staffordshire University with speeches from the organisers and from local MP Tristram Hunt, a very keen supporter of Firing Up and champion of the local ceramics industry. MP Tristram Hunt thanks Potterycrafts for their sponsorship of the Firing Up programme.